We’ve looked at a few of Mapi Cases’ offerings in the past weeks. 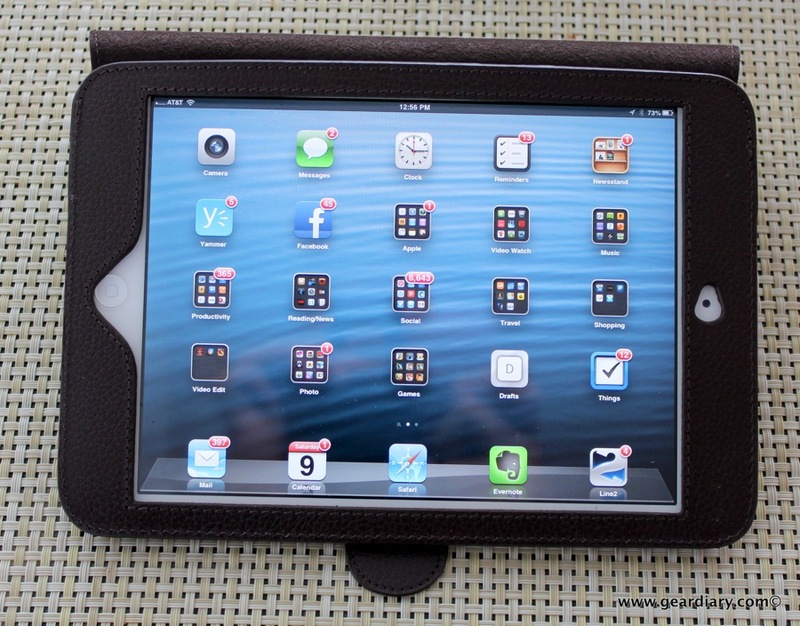 I reviewed the Mapi Case Perga for iPad mini. (Read the review.) Carly reviewed the company’s Orion for iPhone 4S. (Read the review.) 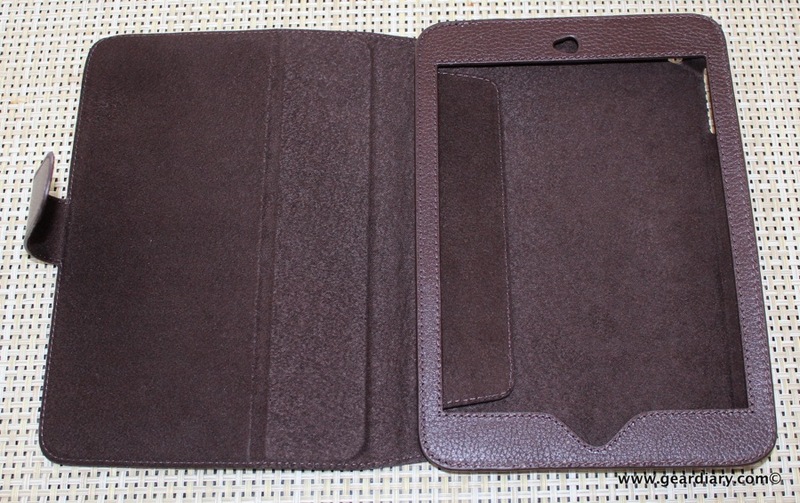 And, most recently, Carly reviewed the Mapi Cases Sia Leather iPad Sleeve. (Read the review.) Each case received high marks from us. 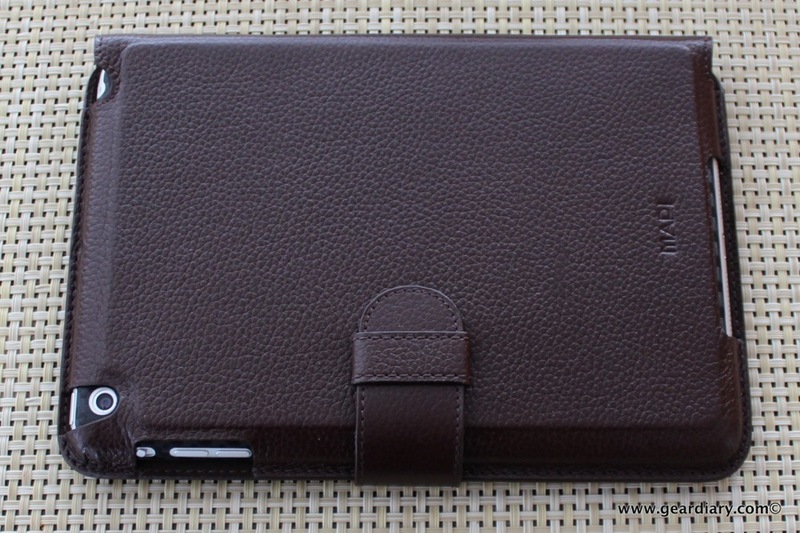 This time out we are taking a look at the Mapi Cases Sol for iPad mini. Will the company go four for four with this latest case? Read on to find out. 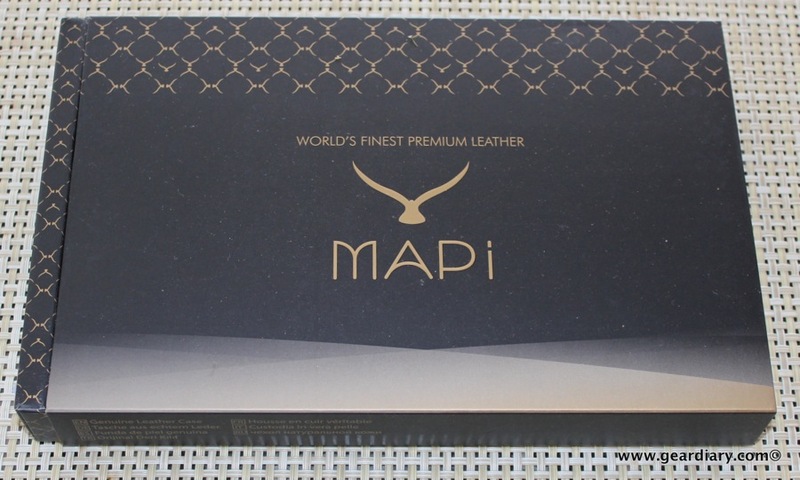 Gorgeous leather, classic styling and the luxury that is only found on high-end accessories are what await you the first time you open the box containing the Mapi Cases Soli for iPad mini Case. It isn’t the nicest unboxing experience I’ve seen but, then again, I really don’t care all that much about the unboxing experience. No, it is the actual product that matters to me. Like the Perga I reviewed last month, the Mapi Cases Soli for iPad mini comes with a nice protective bag inside the box alongside the case. 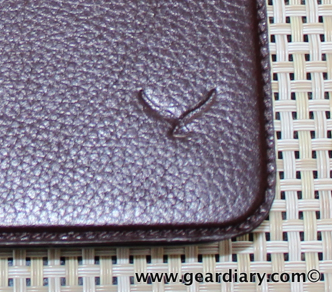 At the time I unboxed the Perga I was struck by the fact that the leather case wasn’t actually inside the bag. Instead, the bag was folded in half and was sitting beneath the case itself. It seemed a bit odd, but I didn’t think it was worth noting at the time. But the same thing happened with the Soli. Open the box and there is the case. I lifted the case out and you’ll see the cloth bag sitting there waiting. I’m glad the company includes the bag since it is a great way to add an additional layer of support if, for example you are throwing your iPad mini in a briefcase, but I don’t understand why the case isn’t INSIDE the bag when you first open it. After all, wouldn’t that add to the initial unboxing experience? It is, of course, of no consequence when actually looking at the Mapi Cases Sol for iPad mini, but it did strike me as an odd choice. 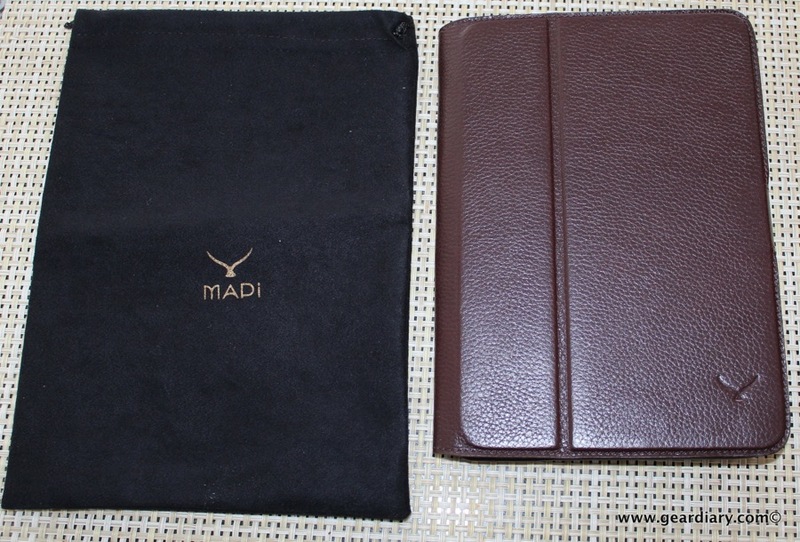 The Mapi Cases Sol for iPad mini comes in four different colors: black, brown, red, and tan. All are made from slightly textured, glossy style leather that screams class. And yes, I know I have already used that term a few times in this review, but there really isn’t another word that better captures this case and the stamens it makes. My review sample was perfect. The leather was unblemished and the seams were perfect. Even the MAPI embossed on the back and the company logo embossed on the lower front corner were perfect; not too big, not too small and just deep enough to make the requisite branding statement. The cover of the Mapi Cases Sol for iPad mini is a 1/3- 2/3 split that is easy to open, folds flat against the back and folds on itself to create a stand. More on that shortly. I like this approach to designing a cover/stand and actually prefer it to the tri-fold approach taken with the company’s Perga for iPad mini. It isn’t that there is anything wrong with the tri-fold cover, but this approach flops around a bit more when you are holding the case open. 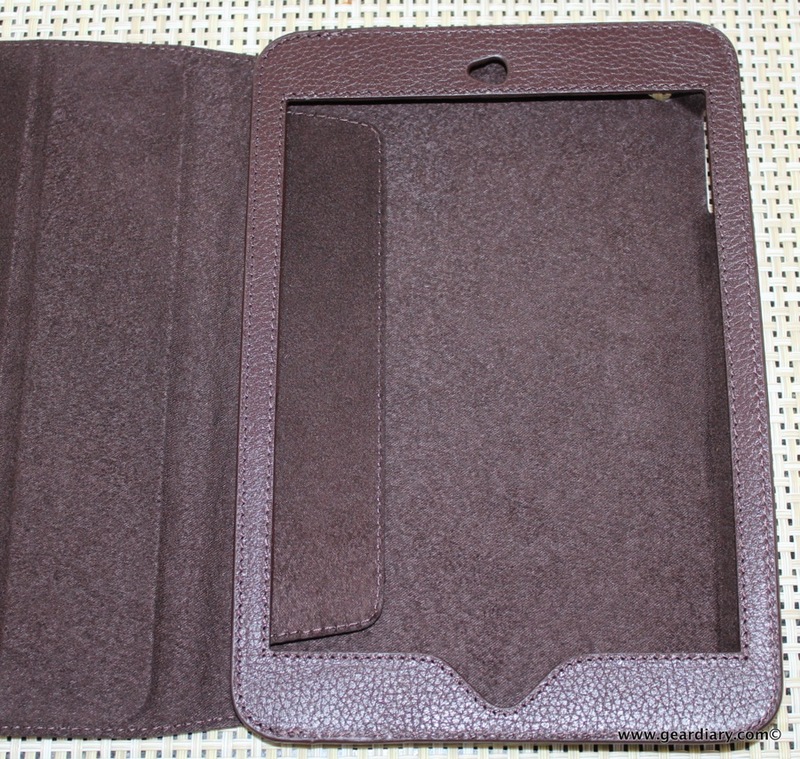 Like the Perga the Mapi Cases Soli for iPad mini has a thick leather “frame” behind which the iPad slips into place. 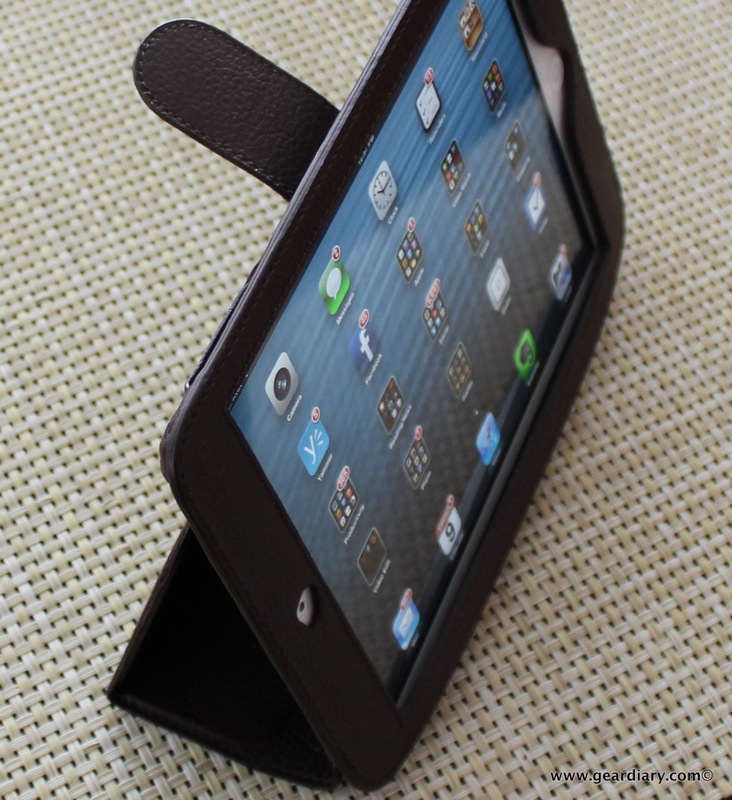 The leather is rigid enough that it that truly makes the case feel like a frame is surrounding screen. Cutouts for the FaceTime HD camera, microphone and Home Button are all precise and add to the sense of refinement. 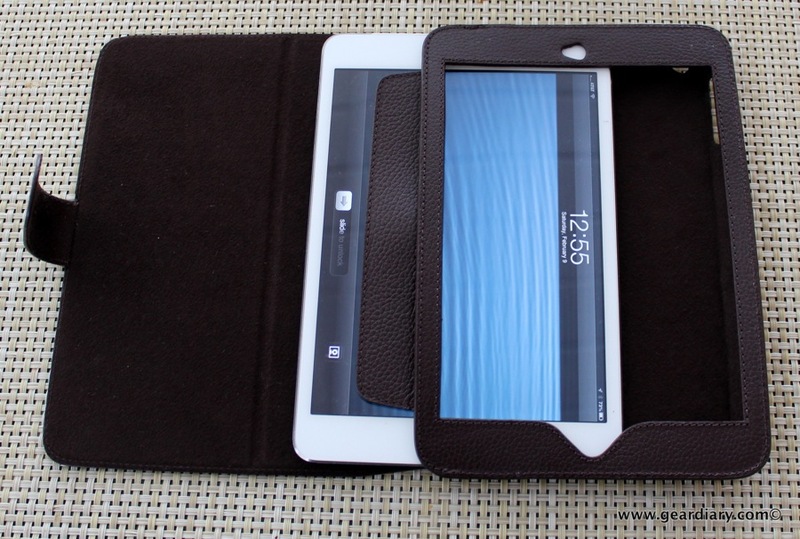 Once the iPad is in place the extra flap of leather slips behind it and “locks” it into place. To say the iPad is held securely in place is an understatement. Yes, once the iPad is inside this case it is thee to stay… until you want to remove it. 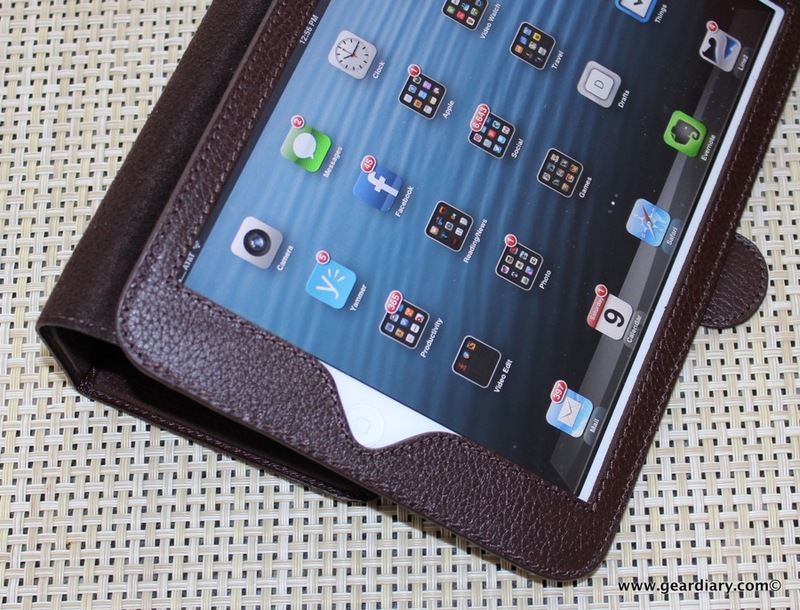 The inside of the Soli has a soft lining that helps protect the iPad Mini from scratches. The company also notes that the lining will absorb “ambient moisture”. I don’t know about that, but it is clear that the inner ling of the case won’t scratch your precious iPad mini. 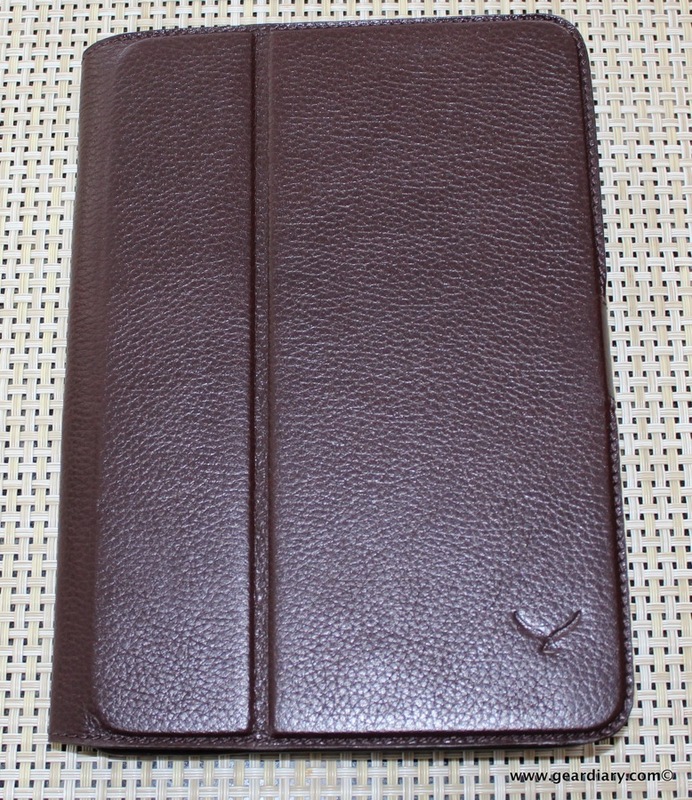 Like the Perga, the back of the Mapi Cases Soli for iPad mini is thick, rigid leather that helps provide a bit of additional protection when placing the tablet down on a flat surface. As you would expect with a luxury case costing over $100 the cutout on the Soli are all precise — and by that, I mean REALLY precise — and allow full access to all the controls and ports. Yes, the fit and finish on the Soli is truly impressive. 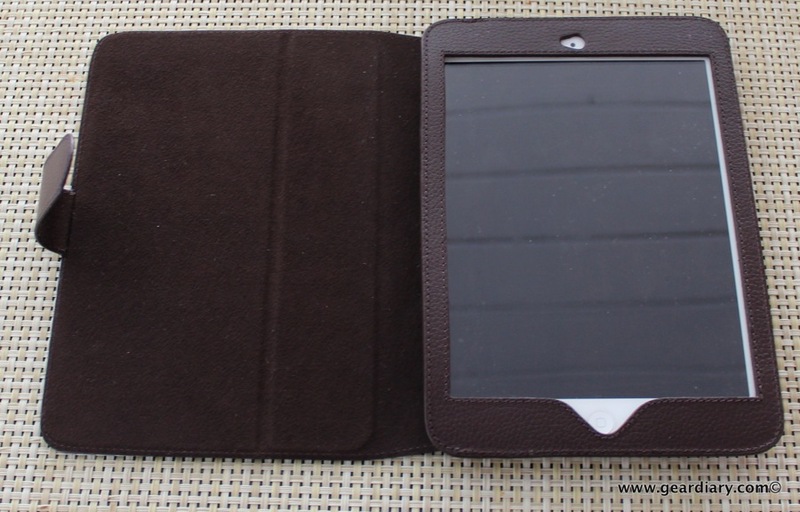 The leather tab slips into an extra loop of leather on the back of the case and locks the cover in place. It is an effective method for securing a cover, but, honestly, I find it to be a bit cumbersome and am bothered by the way the extra leather tab can get in the way when trying to use the tablet. Honestly it isn’t my favorite approach, and I would opt for the method used in the Perga. (Check out what I mean here.) This is, of course, a matter of personal preference. The cover of the Soli flips around the back and while it can be folded flat against the back so it is out of the way (except for the leather tab… did I mention I don’t like this design??) it doubles as a stand. To create the stand simply bend the cover at the 1/3-2/3 crease and slip the leather tab into the loop on the back. The result is your choice of viewing mode (above) or, once you flip the case around, typing mode. 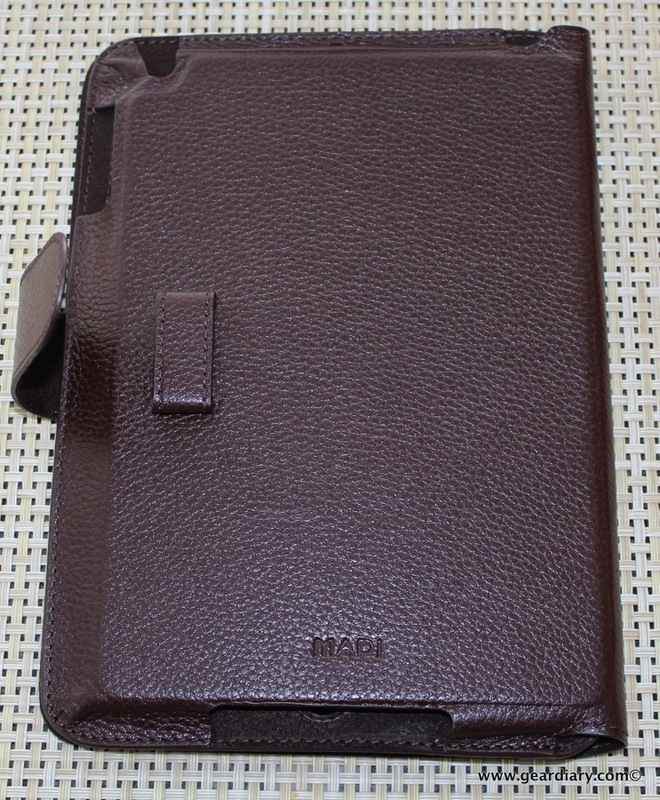 I like the Mapi Cases Soli for iPad mini. 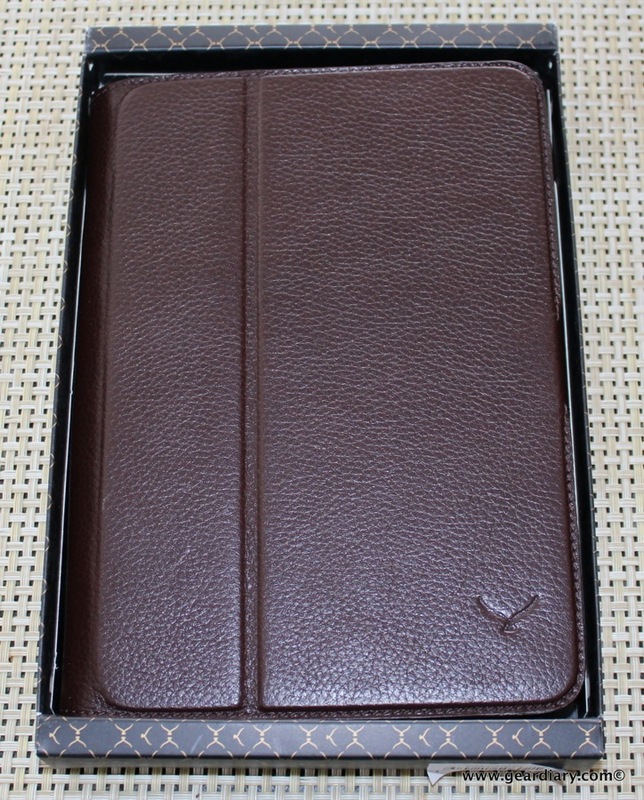 The leather is gorgeous, the quality of the workmanship is fantastic and, perhaps most importantly, the experience of using the iPad is enhanced thanks to the case. In other words despite excelling at it the Mapi Cases Soli for iPad mini isn’t just about protection. 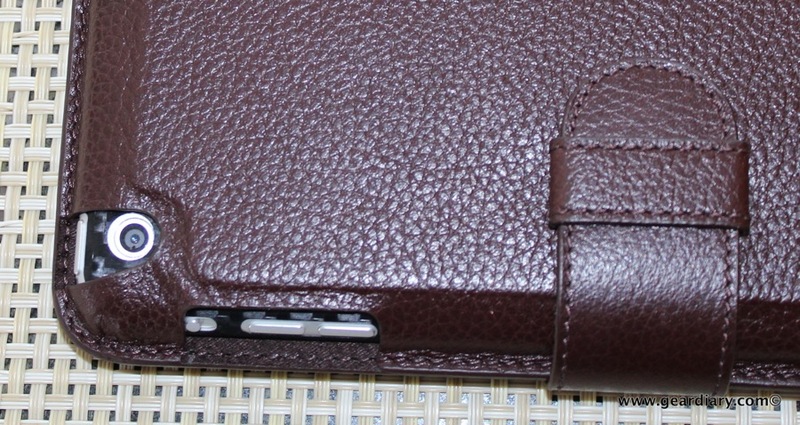 That said, the more iPad cases I review the pickier (or is it spoiled?) I become. And while you cannot go wrong with either the Perga or the Soli, my ideal Mapi Cases would be a combination of the two cases that combined the Soli’s 1/3-2/3 split cover with the Perga’s leather and magnet method of holding the cover closed. You can learn more and order your Mapi Cases Soli for iPad mini on the company website.